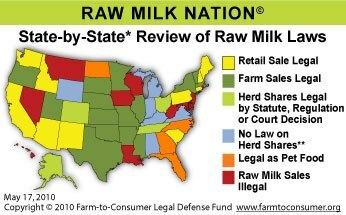 Dear CDC: Raw Milk Outbreaks Are Not On The Rise. 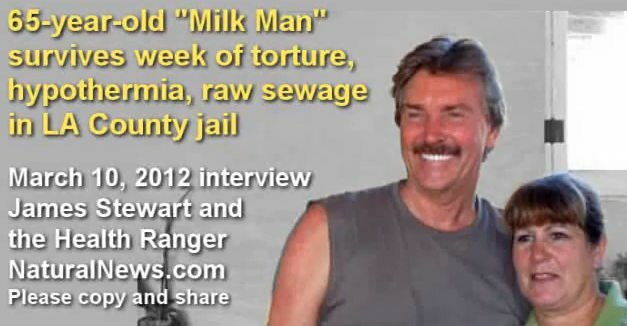 [2012 Feb] Feds succeed in destroying entire business of Amish raw milk farmer "I can't believe in 2012 the federal government is raiding Amish farmers at gunpoint all over a basic human right to eat natural food," said one of the farm's former customers, who wished to remain anonymous, to The Washington Times. "In Maryland, they force taxpayers to pay for abortions, but God forbid we want the same milk our grandparents drank." [2011 Nov] Raw Milk by Hilary Butler It’s also notable to me that in overseas countries which have human breast-milk banks, there is a preference NOT to pasteurise human milk. Why is that? Because some of the most useful and important ingredients in breast milk are destroyed as part of pasteurisation. The same applies to cow’s milk. Or any other pasteurised milk..... I know from personal experience that the unpasteurised milk, butter and cheese cannot compare in flavour, texture and nutritional value, to pasteurised products......One of the cleanest sheds I ever tested in was a timeless walk-through shed with no yard, no fences, old Gerber machines, run by a retired couple of brothers. Their cows came by themselves, and walked up to milk on being called by name. I was amazed – and taken aback - at it’s “basicness” and simplicity, and yet – of all the sheds I went, this shed was the cleanest of them all...... there is no doubt in my mind that the body is far more able to ”use” unpasteurised milk and cheese, than pasteurised. I’ve lost count of the number of people I’ve met who can drink unpasteurised milk and eat unpasteurised cheese, but goods bought from the supermarket cause problems.